This international choral contest has been held in Tolosa every year since 1969, always around the time of All Saints’ Day on 1 November. Its aim is to bring together the best choirs in the world, in order to enable an exchange of styles, interpretation, choral literature, vocal education and customs of each country, as well as to raise awareness of the musical and cultural tradition of the Basque Country. Over the decades, the competition has become one of the most important choral events in the world. and to date, almost 1.200 different choirs from all over the world have come to Tolosa to make their music. In 2018 the Tolosa Choral Contest will celebrate its 50th anniversary. Yes, suddenly we became one of the oldest choir competitions in Europe! To celebrate this anniversary, we would like to organize a special contest bringing together some of those choirs and artistic personalities that left an indelible memory in previous years. 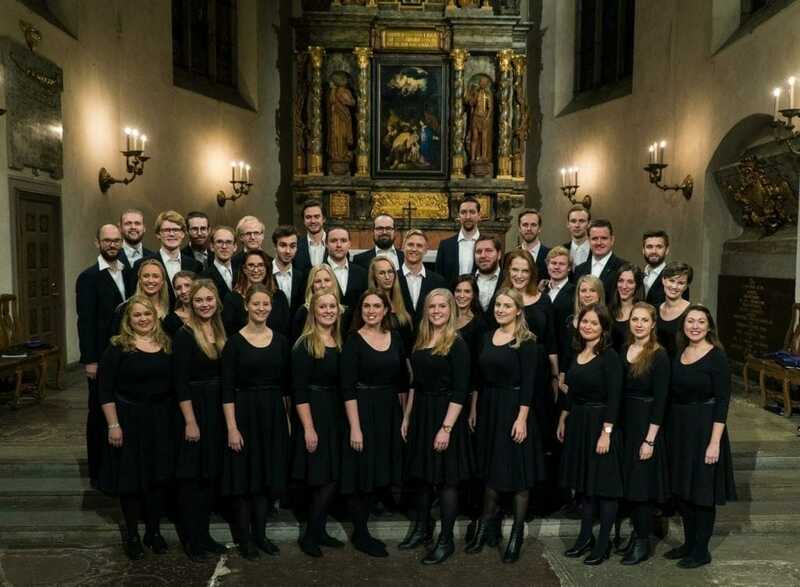 Depending on the project at hand, the chamber choir I Vocalisti comprises 20 to 60 vocally and musically trained singers from northern Germany who come together to perform challenging sacred and secular choral music at a professional level. In addition to works by old masters such as Bach, Brahms and Mendelssohn the choir’s repertoire has a focus on contemporary pieces, enabling the singers to work closely with the composers on these occasions. Vic Nees (Belgium) and Aleksandar S. Vujic (Yugoslavia), among others, have written pieces for the choir. I Vocalisti also stands out for its work with various composers and directors such as Ugis Praulins, Eric Whitacre, Ola Gjeilo and Christoph Eschenbach. 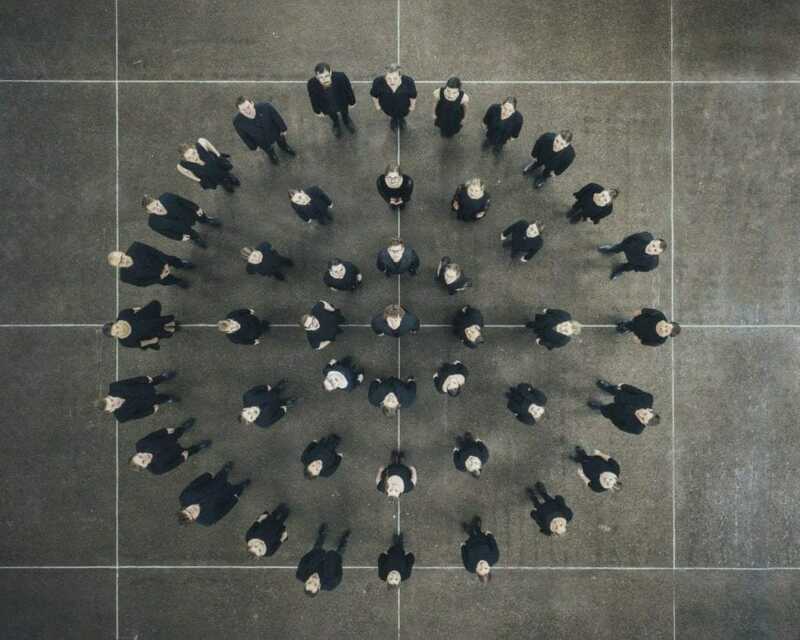 Furthermore, the choir regularly expands its musical spectrum by working with groups including the Klazz Brothers and the Danish band Afenginn. Since its founding in 1991, the ensemble has performed in numerous concerts and competed at national and international choral competitions, winning first place at the 6th German Choir Competition in 2002 and first place at the international choral contests in Tolosa, Spain in 2004, and Cork, Ireland in 2009. In addition, I Vocalisti has recorded works for radio (NDR) and television (ARD) and for the labels Carus, Rondeau and Sony. I Vocalisti has also worked with directors such as Volker Hempfling, Frieder Bernius and Malcolm Goldring as an experimental choir in their master classes. Founded in 1990 by Georg Grün, Kammerchor Saarbrücken soon became one of the most important chamber choirs in Germany and has earned a national and international reputation. Testament to this are their numerous festival performances in Germany, many other European countries and the USA, not to mention their critically-acclaimed award-winning CD recordings, numerous broadcasts, and last but by no means least their prizes at international choral contests. Kammerchor Saarbrücken has a hugely varied repertoire which includes works by eminent composers from the Middle Ages and the Renaissance as well as classical vocal polyphony. The choir focuses particularly on performances of Romantic and contemporary works and has made a name for itself in the experimental and pioneering choral music scene, as evidenced by commissions and debut performances of pieces composed specially for this choir. The ensemble works closely with the German public broadcaster Saarland Rundfunk on concerts and productions. To date, Kammerchor Saarbrücken has been a permanent fixture at the Festival of 20th Century Music and has performed in concerts for euro radio, not to mention the release of several CDs in cooperation with the broadcaster. The choir’s concerts are recorded regularly by Saarland Rundfunk. Kammerchor Saarbrücken performed in Chicago (USA) in 2008 at the International Choral Festival in Missoula. In Russia, the choir has performed at the Transfiguration festival in Yaroslavl and at the St. Petersburg Choral Festival, with a repertoire including works written specially for the choir. Founded by Maestra Digna Guerra in 1981, Entrevoces is known for its performances of music from all periods and a range of styles, from Spanish, English and Italian Renaissance polyphony through to contemporary, black spiritual, Latin American folk and Cuban music in general. The choir has been a resounding success with audiences and specialist critics alike in Spain, France, Italy, Germany, Luxembourg, the Netherlands, Belgium, Mexico, Venezuela, Jamaica, Barbados, Ecuador, Colombia, Poland, the USA, Canada, Martinique, Nicaragua, Costa Rica, Guadalupe and Vatican City, among others. Entrevoces’ diverse discography has won several awards, including the 2012 ECHO KLASSIK award for best recording of 19th and 20th century choral music for their record El Canto quiere ser Luz, and the 2016 Gran Premio Cubadisco for the record O Yes. Entrevoces has also won awards at international choral contests: the Tolosa International Choral Contest, Spain; the Maasmechelen International Choral Contest, Belgium; the International Habaneras and Polyphony Contest in Torrevieja, Spain; the Florilège Vocal de Tours international choral contest, France; and in Germany the Harmonie 99 International Choir Competition, the International Chamber Choir Competition Marktoberdorf and the Mainhausen International Choral Competition. Entrevoces was invited by the Rolling Stones to accompany them during a memorable concert in Havana. LDO’s main aspiration is none other than the search for beauty through sound and the experience of polyphonic purity and of the community which forms around choral singing. Achieving this requires the utmost enthusiasm and dedication and an unwavering commitment to quality over quantity. We invite you to experience this exciting adventure with us and to enjoy the magic of choral singing. El León de Oro celebrated its 20th anniversary in 2017 and started out as a small group of friends fascinated by singing. 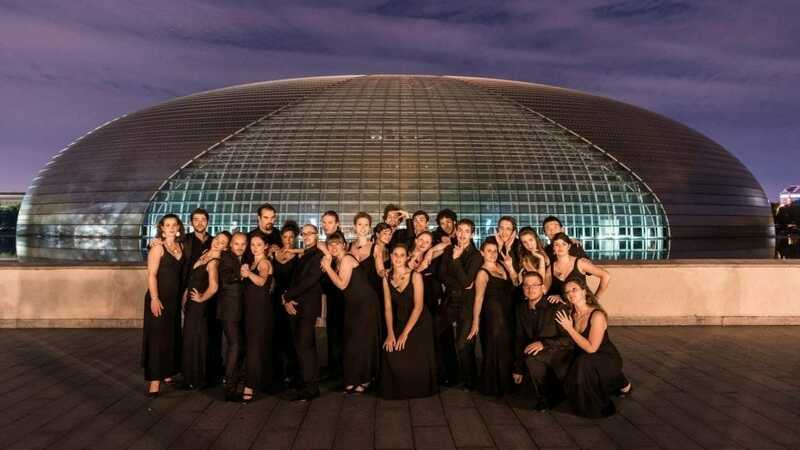 Now an established choir, the ensemble is emerging as a leading player in Spain and abroad. Testament to this are the choir’s numerous awards, its success with audiences and critics alike, and invitations to the best festivals. The ensemble has won awards at contests in Avilés, San Vicente de la Barquera, Ejea de los Caballeros, Cocentaina, Torrevieja, Murcia, Novelda, Oviedo, Zumarraga, Varna, Tolosa, Maassmechelen, Arezzo, Maribor and London. El León de Oro has twice been proclaimed the winner of the National Grand Prize for Choral Singing in Spain, in 2003 and 2006. The choir’s versatility—in terms of the pieces it performs and the singers themselves—means it can offer a diversity of concerts with a vast repertoire encompassing the masters of the Renaissance and Baroque periods through to the most pioneering choral works. 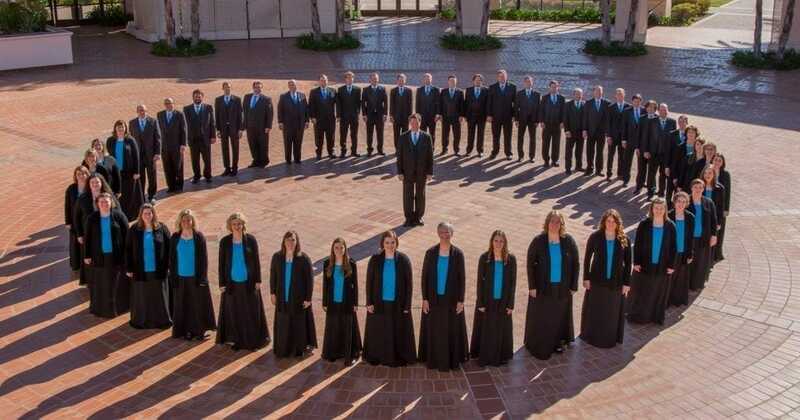 Salt Lake Vocal Artists is one of the seven ensembles which comprise the Salt Lake Choral Artists choir based in Salt Lake City, Utah, USA. Artistic Director and Conductor Dr Brady Allred set up the group in 2010 as the choir’s itinerant ensemble for special projects. Its ‘singing ambassadors’ are often on the road but also perform regularly in Salt Lake City, particularly as part of an annual collaboration with local primary and secondary school students in which the young singers receive guidance and training to prepare for and give a big performance. The choir has won prizes in Tolosa and Arezzo (Italy) and was guest choir at the 2011 and 2017 World Symposium on Choral Music in Argentina and Barcelona, respectively. Since being set up, the choir has commissioned and performed numerous works by celebrated international composers including Josu Elberdin, Ko Matsushita, Ēriks Ešenvalds, Jake Runestad, Larry Nickel, Ambrož Čopi, Pär Olofsson and many others. Dr Brady Allred founded the Salt Lake Choral Artists in 2004 to help fufil his lifetime goal of “teaching the world how to sing”. Dr Allred earned his Master of Music and Doctor of Musical Arts at the Eastman School of Music and obtained his undergraduate degree in Theory/Composition and Flute Performance from Brigham Young University. He was Director of Choral Studies at the University of Utah in Salt Lake City and held the same position at Duquesne University in Pittsburgh. Dr Allred is a much sought-after guest conductor, clinician, presenter and adjudicator. He has four daughters with his wife, the soprano Carol Ann Allred, all of whom are singers. This choir was established spontaneously by a group of young musicians with a great love of music. Eager to enjoy it, they wanted to create a high-quality ensemble. It has been 15 years since the young group of singers enlisted the master Gabriel Baltes, thus creating the choir KUP Taldea. They may not have as much experience behind them as many other choirs in our musical tradition, but their career so far has been just as fruitful and valuable given their steady influx of achievements and triumphs over such a short time. Their past performances have included demanding programmes (A German Requiem by J. Brahms, The Creation by Haydn, Mozart’s Requiem, Petite Messe Solennelle by Rossini, Poémes Fransiscains by Bonnal) with concerts at home in the Basque Country and abroad. Their own recordings include Priex pour Paix and KUP Taldea 10 urte. The group has participated at international contests in Tolosa (2008), Maribor (2009), Tours (2010) and the European Grand Prix (2011) and some of its members have transitioned from being fundamental pillars of the choir to shining as soloists. July 2017 marked the culmination of their achievements thus far: an invitation to compete at the 11th World Symposium on Choral Music in Barcelona. At the 11th edition of this triennial event—organised by the International Federation for Choral Music (IFCM)—24 leading international choirs took part. Landarbaso Abesbatza came together in 1991 as a youth choir with singers aged between 16 and 36 years. The association currently comprises three ensembles with over 100 singers in total: Kontari (8 to 14 years), Landarbasoko Dizdizka Taldea (15 to 21 years) and Landarbaso Abesbatza (17 to 45 years). 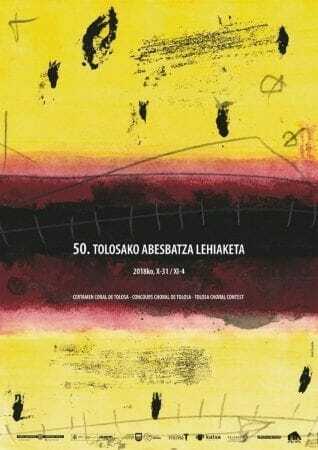 Experts, media and critics have all rated Landarbaso as a leader in the Basque music scene, highlighting not only the choir’s youth but the originality, quality and innovative nature of its work. The ensemble has recovered lost Basque musical works and created new arrangements and recordings of the country’s unique musical heritage in what is an irrefutable commitment to Basque culture. The choir’s varied programme encompasses both sacred and secular music from diverse periods and in a range of styles, alongside creation and harmonisation of Basque folk pieces. Landarbaso Abesbatza therefore carves new paths, not only for its own work but for the music scene as a whole. 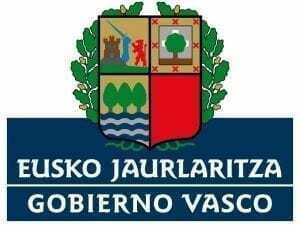 Since its inception, Landarbaso has participated in various cycles, contests and performances in different provinces and communities across Spain. From 2001, invitations starting coming in to compete at international choral contests, resulting in noteworthy prizes for the choir. Their accolades include some 20 prizes at international and national contests, including gold medals at the World Choir Games in Riga (Latvia) in 2014 and Shaoxing (China) in 2010. 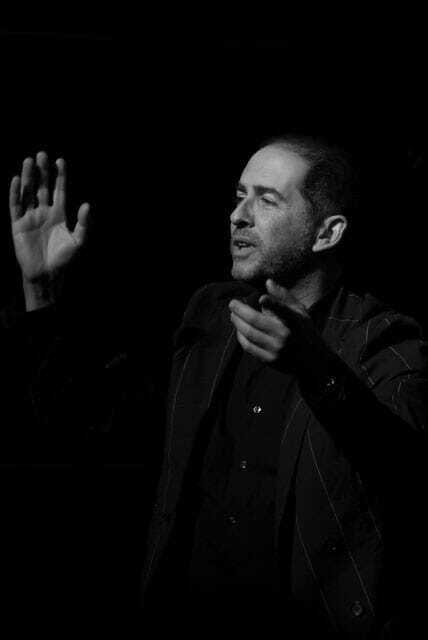 From the outset the choir has been under the musical direction of Iñaki Tolaretxipi, currently considered one of the most outstanding directors in Gipuzkoa. ACS was formed by graduating members of the Ateneo College Glee Club in 2001. Since then the choir has earned national and international renown for its commitment to performing sacred choral music. Today, ACS comprises alumni and friends of the Ateneo de Manila University and is directed by Jonathan Velasco. Many of the singers are professionals in various fields who give their time to make wonderful music with ACS. The ensemble has received recognition around the world. In July 2014, the choir won the A Cappella Category of Sacred Music at the World Choir Games in Riga, Latvia, beating thirty-six choirs from all over the world. In the same competition, ACS took away a second gold medal for the Mixed Chamber Choirs Category. That same month, the choir was awarded first prize at the International Habaneras and Polyphony Competition in Torrevieja. Before that, ACS also won first prize at the Tolosa International Choral Contest in 2006. 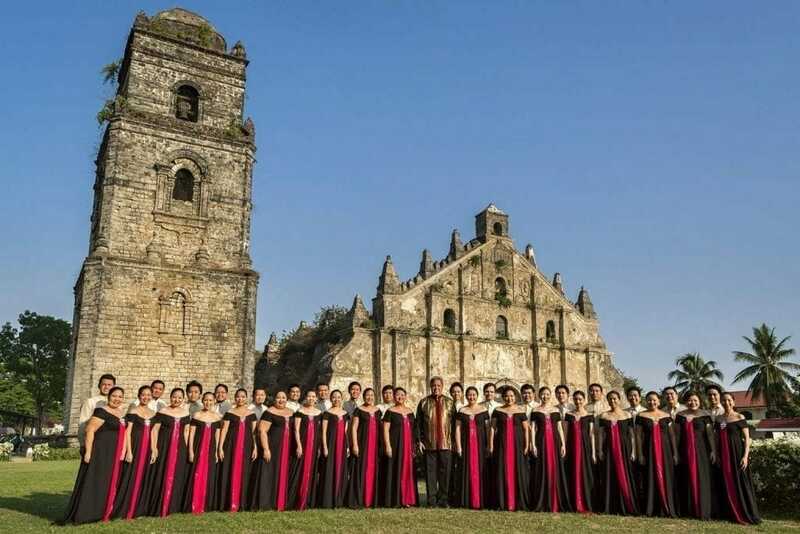 In the Philippines, ACS continues to sing for Filipino audiences with sacred music performances which include anniversary and Christmas concerts. The choir has also sung alongside some of the country’s top orchestras, performing large classical and contemporary orchestral works. In April 2016, together with the ABSCBN Philharmonic Orchestra, ACS sang alongside Andrea Bocelli at the Mall of Asia Arena during the Manila leg of his Cinema World Tour. ACS has also released several critically-acclaimed albums including four self-produced CDs as well as five albums in collaboration with the Jesuit Music Ministry. Advocates of the French choral renaissance, for the past 25 years Mikrokosmos has developed a rich a cappella sound nourished by extraordinary artistic adventures. The choir comprises 40 singers below 30 years of age and has won 20 international prizes. Much sought-after in the world of cinema, the Mikrokosmos ‘choral laboratory’ cultivates a sense of daring. In its original creations, Mikrokosmos responds to new artistic and social influences to break down barriers between art forms. Hip-hop and video are intimately blended with song to reshape the contemporary choral art scene. Choral creation is at the heart of the choir’s identity. For more than 20 years, each new generation of French composers has worked with Mikrokosmos. These include Pascal Zavaro (Songs of Innocence, concerto for violin and choir), Philippe Hersant (Nostalgia, a piece for choir and violin accompanied by video installation), Thierry Machuel (Un bestiaire de Noël, a mix of sacred and secular music), Zad Moultaka (La Montagne sans nom), Patrick Burgan (Soleils), Nicolas Bacri (Stabat Mater), Maurice Jarre (Beatidudines), Bruno Coulais (Stabat Mater) and Bruno Régnier (Créatures, for 9 instrumentalists and 12 singers). The choir’s work is nourished every day by Aaron Jay Kermis, Brent Michael Davids, Jukka Linkola, Philippe Hersant, Nicolas Bacri, Alain Labarsouque and Patrick Burgan. Mikrokosmos’s collaborative nature is reflected in its discography, particularly two records based on compositions by Thierry Machuel. Batavia Madrigal Singers is one of the best mixed choirs in Indonesia and of all the choirs in the country has won the most prizes at prestigious contests. Comprising highly qualified and well-trained singers, the choir is capable of performing choral works of various genres, styles and levels of difficulty. 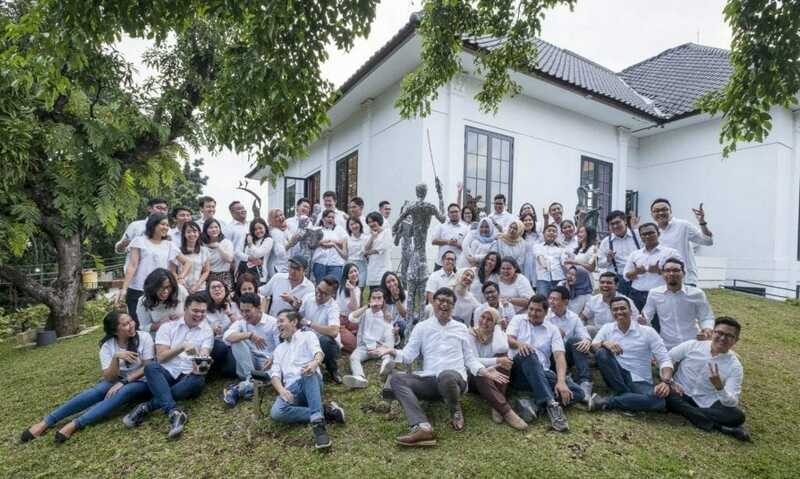 The choir’s repertoire varies from classical to popular, from Baroque to modern and contemporary and from secular to sacred, including well-choreographed traditional Indonesian folk songs. Batavia Madrigal Singers was founded in 1996 and its current members are amateur singers from the Yakarta area of different ages, ethnic origins, occupations and religions. All of the choir’s members were carefully selected via competitive auditions. Avip Priatna has been the choir’s director since the beginning. Avip’s exceptional musical talent, experience and strong leadership have taken the choir to the height of excellence. They made history in Torrevieja in 2011 when they won five prizes at the 57th International Habaneras and Polyphony Contest, making theirs the best performance by any choir at this contest which has been held since 1954. The following year the choir won the Grand Prize in Varna (Bulgaria), giving them the right to participate in the 2013 European Grand Prix for Choral Singing against other Grand Prize winners from 2012. This is an extraordinary achievement given they are the first and only choir from Indonesia to compete for the European Grand Prix for Choral Singing. In 2015 the ensemble competed at the International Chamber Choir Competition Marktoberdorf in Germany, wining third prize. In 2017 they won the Gran Premio Kutxa in Tolosa and the right to compete at the 29th European Grand Prix for Choral Singing held in Tolosa on November 1st 2017. Founded in 2009, the Kinokai youth choir KANAMI is a mixed ensemble with the master Hiroki Fujii at the helm as both director and artistic director. 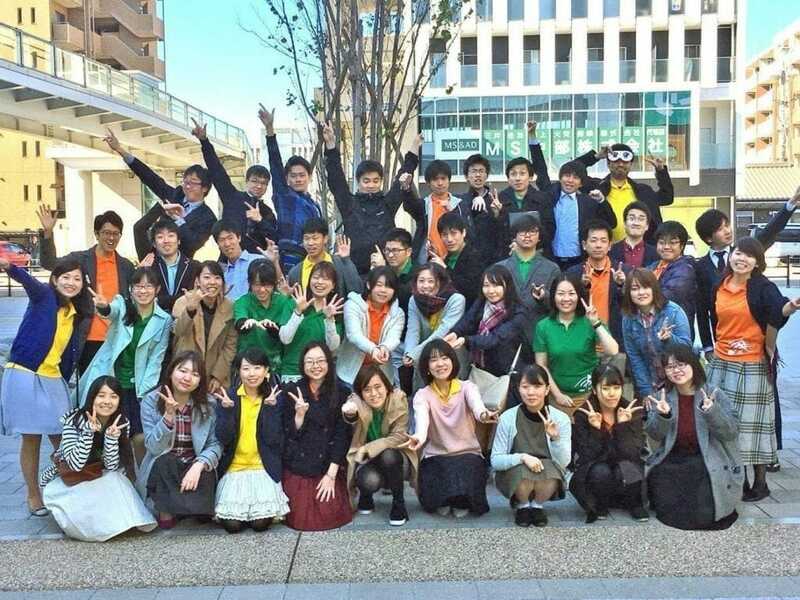 KANAMI’s approximately 60 members are university students and young singers under 30 years of age from both Tokyo and Yamanashi. 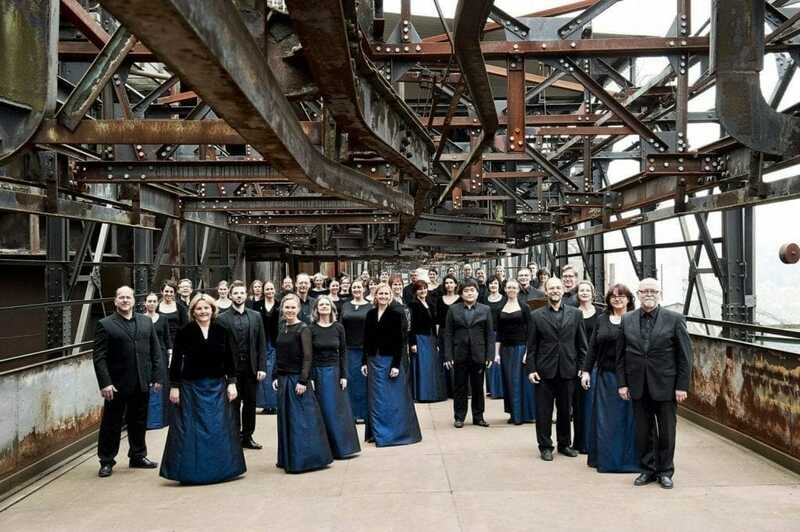 Together, they eagerly explore choral music in search of an unconventional repertoire. The choir gave outstanding concerts in Japan in 2010, 2012 and 2015 and in Hungary in 2014. They have also given numerous other performances at events including Kinokai Concert, Tokyo Cantat, CoroFesta, the Tokyo Choral Festival and at choral contests, among others. KANAMI’s accolades include first place at the Yamanashi Vocal Ensemble Contest in 2015 and 2016 and second and first place in the Classical and Contemporary Division at the Tokyo Spring Chorus Contest in 2015 and 2016, respectively. The choir’s director and founder, Hiroki Fujii, is one of the most outstanding Japanese choir directors of his generation. He has won the highest award at the Japan National Choral Contest on 12 occasions and has taken away first prize at the international choral contests in Tolosa and Arezzo (Italy). He currently directs the choral organisation Kinokai (comprising 12 choirs), which proactively seeks new approaches to choral music. 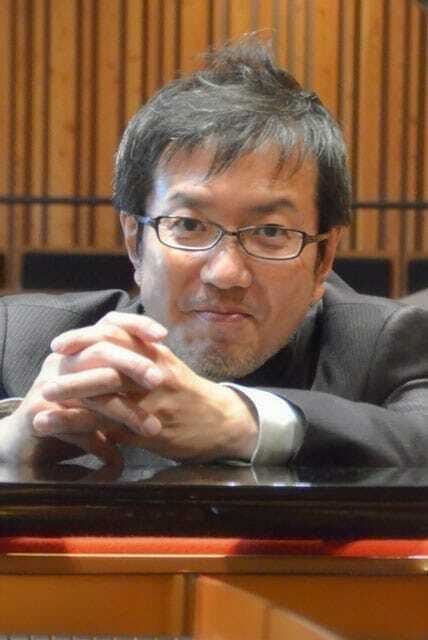 He is a member of the Japan Choral Directors Association and President of Ongaku-ju (Music Tree*). *Music Tree: a group of Japanese choral experts founded in 1996 to work on the choral music of the 21st century. The youth choir Kamēr… was founded in 1990 by director Māris Sirmais. Since 2012 the choir has been under the direction of Jānis Liepiņš (b.1988), former second director of the ensemble. The group’s vocal coaches are Jolanta Strikaite-Lapiņa, Edgars Skarbulis and Ansis Sauka. Throughout its career the choir has won dozens of prizes and trophies at various choral contests, including an award at the International Chamber Choir Competition Marktoberdorf in Germany (1999) and two wins at the European Grand Prix for Choral Singing in Gorizia (2004) and Arezzo (2013), both in Italy. Kamēr… has received the Latvian Grand Music Award on two occasions and has won the national choir competition four times. Over recent years the group has developed specially commissioned programmes. Its biggest project to date is World Sun Songs (2008), comprising 17 new choral works inspired by the Sun and pieces by such world-renowned composers as Sir John Tavener, Giya Kancheli, Sven-David Sandström, Leonid Desyatnikov, John Luther Adams, Stephen Leek, Dobrinka Tabakova, Ko Matsushita and others. Similar works include the seasons titled Madrigals of Love (2010), Moon Songs (2012) and Amber Songs (2014) for which various famous composers wrote choral miniatures on love, the Moon or arrangements of Latvian folk songs, respectively. The choir has also actively worked to synthesise genres and means of expression. Some examples of its work in this regard are choreographed and theatrical performances of Jersikas Derība (an oratorio by Līga Celma), The Christmas Legend (a musical story by Ēriks Ešenvalds) and The Canticles of the Holy Wind (a large-scale stage meditation by John Luther Adams). Other stage partners of Kamēr… have included Gidon Kremer, Marta Sudraba, the orchestra Kremerata Baltica, Nicolas Altstaedt, Peter Schreier, Yuri Bashmet, Julius Berger, Maxim Rysanov and many others. Schola Cantorum has built an international reputation and today is one of the most important chamber choirs in Norway. Almost all its singers are music students. The choir works to achieve the greatest possible artistic level for an amateur ensemble. Its founder, Knut Nystedt (1915-2014), started Schola Cantorum in the University of Oslo’s music department in 1964. Organist, composer and conductor Nystedt studied music in the USA and brought the American choral tradition—which emphasises the importance of new music—back to Oslo. His own music also became a crucial part of Schola Cantorum’s repertoire. 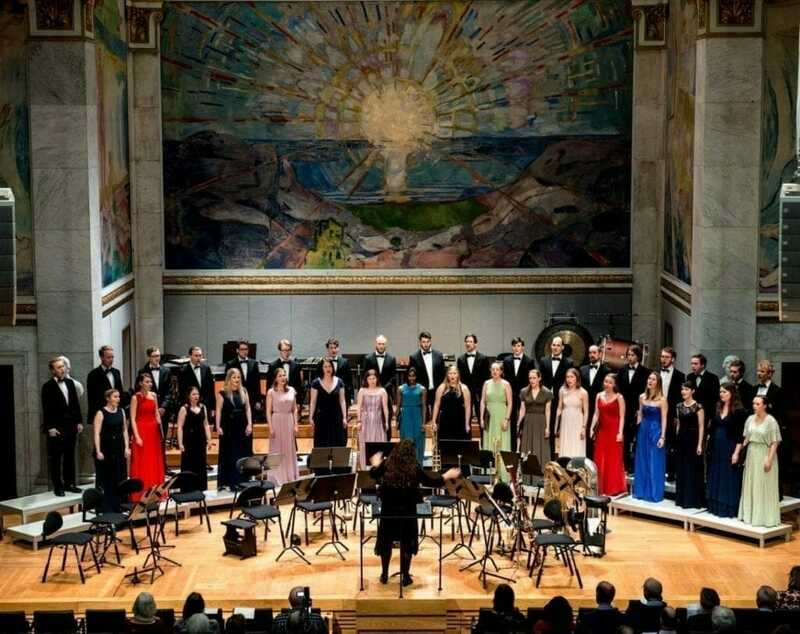 The choir is still affiliated with the Department of Musicology at the University of Oslo. Nystedt directed Schola Cantorum until 1985. Following an intermediary period during which Jon Fylling and Carl Høgset successively led the choir, the role was subsequently taken up by organist and conductor Kåre Hanken 1987. The ensuing decade included tours to Japan and South Africa and the release of two CDs. Tone Bianca Sparre Dahl has led the choir since 2002. Schola Cantorum regularly collaborates with leading Norwegian musicians and ensembles including the Norwegian Radio Orchestra, the Staff Band of the Norwegian Armed Forces, the Norwegian Wind Ensemble and Nordic Voices. The choir has a varied repertoire—including contemporary and folk—and has collaborated with the metal band Dimmu Borgir. In the spirit of Knut Nystedt, Tone Bianca Sparre Dahl continues to perform modern music with the choir. The record Hymn to the Virgin (2013) contains several works by Norwegian composers, all of whom have carried forward Nystedt’s legacy in their own way. The record was nominated for the Grammy Award for Best Engineered Album, Classical. From 2014 to 2016 Schola Cantorum commissioned six new pieces from young Norwegian composers as part of the Digital Dissemination of New Norwegian Music project, which aimed to increase interest in new Norwegian choral music. — Tone Bianca Sparre Dahl(r)ekin. Convivium Singers have released a number of recordings in recent years, collaborating with companies, including the Baltic Exchange, London, and publishers, notably the Royal School of Church Music. Composer discs include works by Jonathan Dove, Margaret Rizza, Malcolm Archer, Carson Cooman, Hugh Benham and Michael Higgins. They have also delved into early music, and their CD of motets by Peter Philips (Convivium Records) received a Choir & Organ five-star review. The choir was filmed at Portsmouth Cathedral in 2014 for a special Songs of Praise programme on BBC1, as part of the DDay70 commemorations. The Singers often work with established conductors and composers to introduce contemporary music to wider audiences. 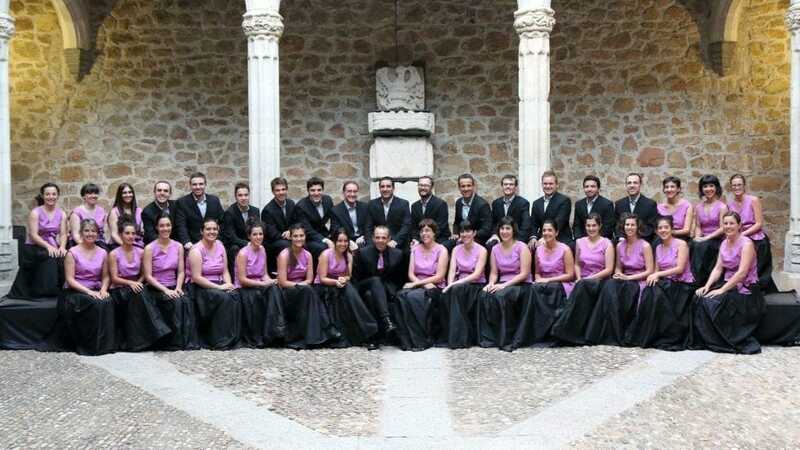 They were prize-winners at the Tolosa International Choral Contest (2011, Spain). The ensemble has also performed at Milan’s La Fabbrica del Canto festival and in Hradec Králové at the Czech choral festival Sborové slavnosti. Convivium Singers have a diverse repertoire from traditional choral music to folk-songs, partsongs and popular arrangements. 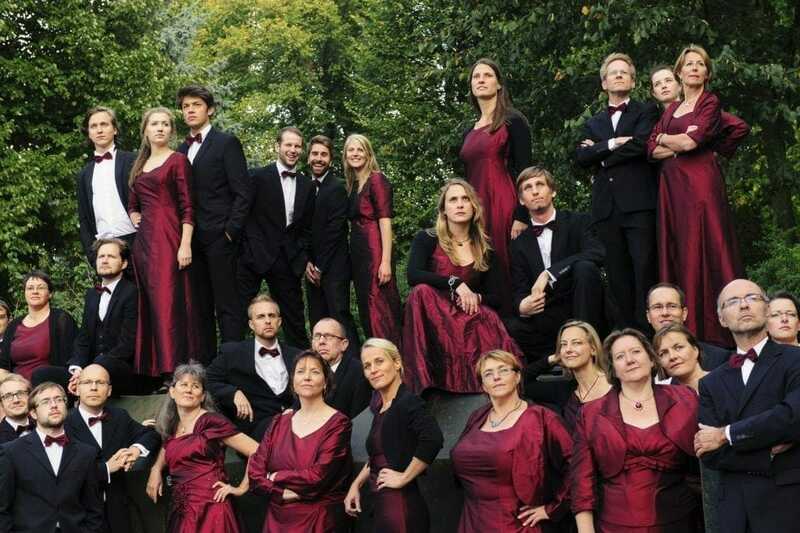 S:t Jacobs Vokalensemble (formerly S:t Jacobs Ungdomskör) is a mixed choir comprising around 40 members. The choir was founded in autumn 2007 as a youth choir and part of the Storstadsprojektet initiative run by the parish of Stockholm Cathedral, which sought to promote choral music among the young singers. The choir gave its inaugural concert on November 17th that same year. 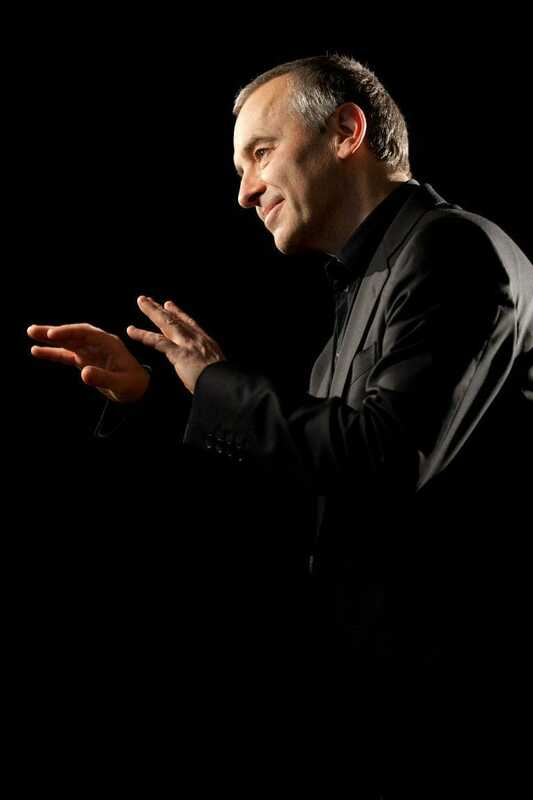 Mikael Wedar has been the choir’s Director since then. Most of SJVE’s concerts and activities are held in the Church of St Jacobs. The choir rehearses on Mondays and takes part in church services several times a year. The ensemble aims to give its audience unique and diverse performances which continue to resonate long after the church doors have closed. S:t Jacobs Vokalensemble has won awards in several international contests, including the Grand Prize at the Slovakia Cantat in Bratislava (2010), among others. In autumn 2012 and 2016 the choir competed and won third prize in the International Harald Andersén Chamber Choir Competition, held every three years in Helsinki, Finland. 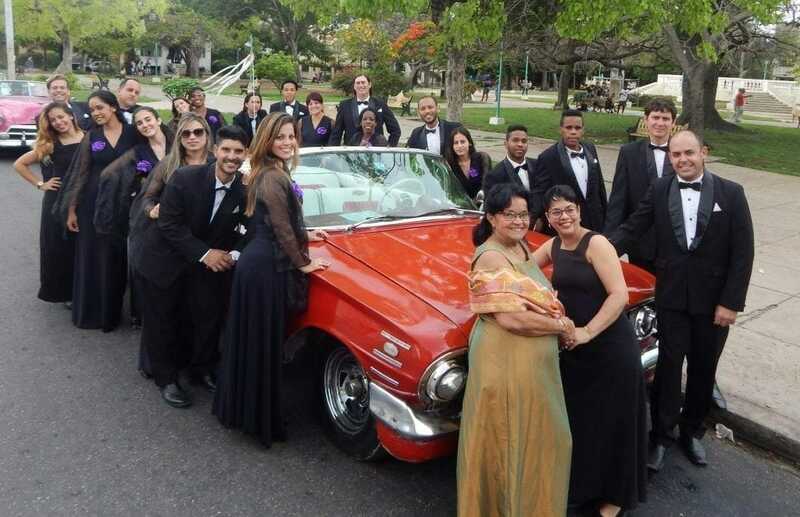 In November 2013 they participated in the Tolosa International Choral Contest, winning all available prizes and qualifying for the 2014 European Choral Grand Prix in Debrecen, Hungary, where they took the Grand Prize. The choir Oreya was founded by Alexander Vatsek in 1986 as a municipal choir. Within four years, Oreya was representing not only the region of Zhytomyr but all of Ukraine at international choral competitions. 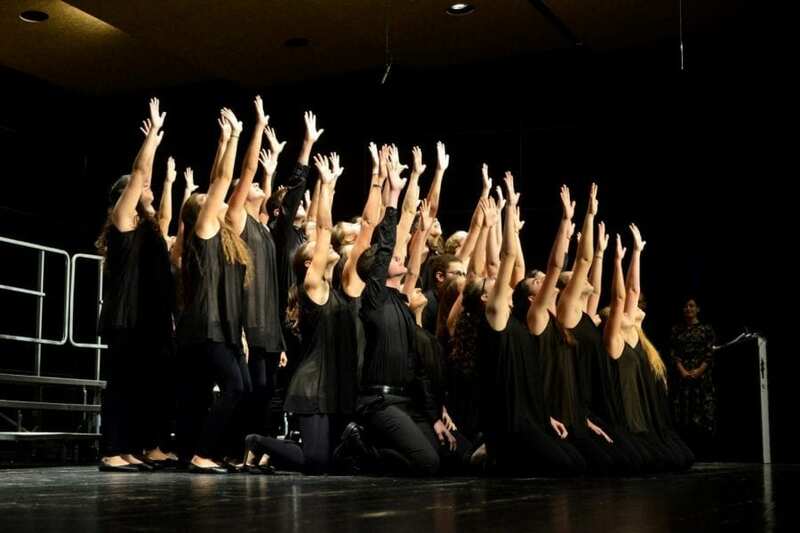 Between 1993 and 2014 the choir won 9 grand prizes and 31 first prizes at international choral contests in Spain, Slovenia, Germany, France, Switzerland and Italy. 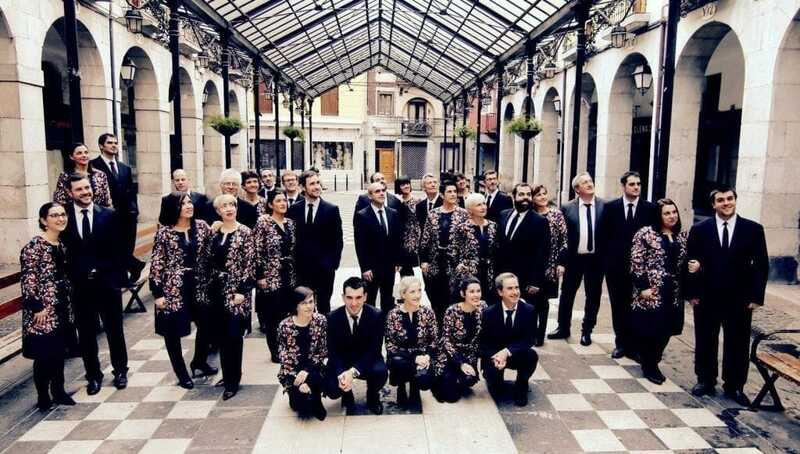 Oreya is now one of the most original choral ensembles in the world and has remained so for the past 25 years. The prestigious Festival of Sacred Music in Marktoberdorf in May 2010 brought together the best choirs, ensembles and soloists from across the world, each a genuine cultural ambassador for their countries and for a diversity of religions: Judaism, Islam, Buddhism and Christianity (Catholicism, Protestantism and Orthodox). Oreya had the honour of performing in Freising Cathedral, near Munich, the last place served by Pope Benedict XVI. Artistic director of Sociedad Coral de Bilbao since 2016. He has conducted since 1985 the Choir HODEIERTZ of Tolosa. 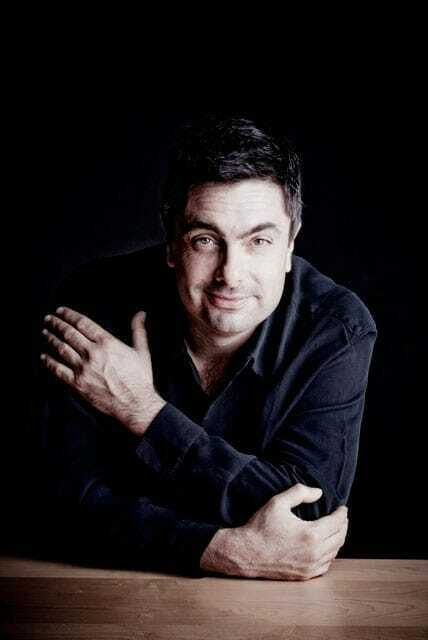 In 1997 he founded the professional Vocal Ensemble KEA with the aim of promoting contemporary and ancient music. He teaches choral singing in Musikene – Centro Superior de Música del País Vasco. He is President of the Confederation of Choirs in the Basque Country. Born in Tolosa, he studied choral conducting in the Basque Country and in Stockholm, sponsored by the Council of Gipuzkoa, with Anders Eby. He has also participated in other courses given by Eric Ericson and Carl Högset. In 1991, he received the Prize to the Best Director in the International Contest of Varna (Bulgaria). He has been the Spanish representative in the World Choral Symposia held in Sydney in 1996, with Hodeiertz, and in Puerto Madryn (Argentina) in 2011, with KEA vocal ensemble. He has conducted the Choir of the University of the Basque Country (1999-2016), the Choir of the Choral Singing Institute of Aragon (Zaragoza, 1993-2003), has directed the Spanish National Youth Choir. With all of them has successfully participated in different national and international contests, and has recorded several cds. He has given several courses and workshops. He is member of the musical committee in the International Choral Contest of Tolosa, and the World Simposyum Barcelona 2017 and artistic director of the National Choral Contest of Ejea de los Caballeros. He has been member of the jury in national and international Festivals (Tolosa, Arezzo, Busan (South Korea), Hong-Kong, Maribor, Marktoberdorf, Maasmechelen, Tours, Varna, Montreux , Neuchâtel and Debrecen). Nadezhda Averina is a graduate of the Ponomaryov VESNA Children’s Choir School (Moscow) and the Moscow State Tchaikovsky Conservatory. 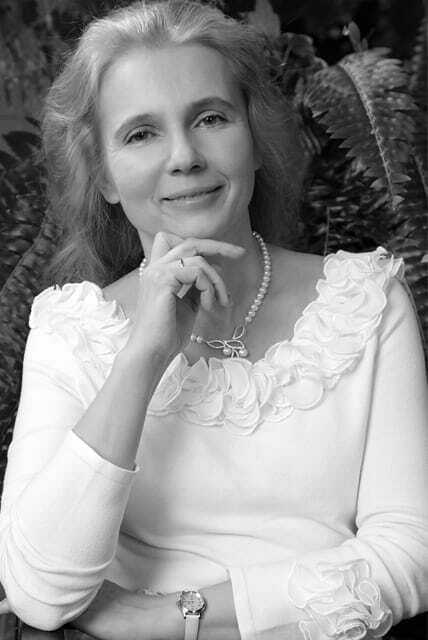 She holds a Doctor of Art History and teaches at the Moscow Conservatory. She has won international contests and is an Artist of Merit in Moscow. Since 2012 she has directed the Ponomaryov VESNA Choir School in addition to being Artistic Director and Director of the VESNA Children’s Choir. Under the leadership of Dr Averina, the choir won first prizes and various Grand Prizes at international choir contests in 2006 (Tolosa), 2010 (Nyíregyháza, Hungary), 2012 (Malcesine, Italy), 2014 (Neerpelt, Belgium and Halle, Germany), 2016 (Debrecen, Hungary) and 2017 (Daugavpils, Latvia). In 2017 the choir won the European Grand Prix for Choral Singing, even beating the adult choirs competing for the prize. The VESNA choir has taken its concert programmes to 12 European countries as well as Canada, Japan, China and around 50 towns and cities in Russia. The choir has sung in the best concert halls in Moscow with many celebrated orchestras and conductors. Its vast and varied repertoire includes hundreds of classical works from different periods and countries and a range of styles and genres. The choir’s programmes have been recorded for radio and TV. Dr Averina has written articles on the methodology of teaching, has arranged several pieces and has compiled numerous choir music collections (seven of which were included in the Golden Library of Choirmaster series). She holds regular seminars and master classes for choir directors and sits on the judging panel for many Russian and international choir competitions. Born in Philadelphia (Pennsylvania), Gary Graden studied at Clark University, the Hartt School of Music, the Aspen Summer Music Festival and with Eric Ericson at the Royal Academy of Music in Stockholm. He is a former member and tenor soloist with the Eric Ericson Chamber Choir and the vocal ensemble Lamentabile Consort. 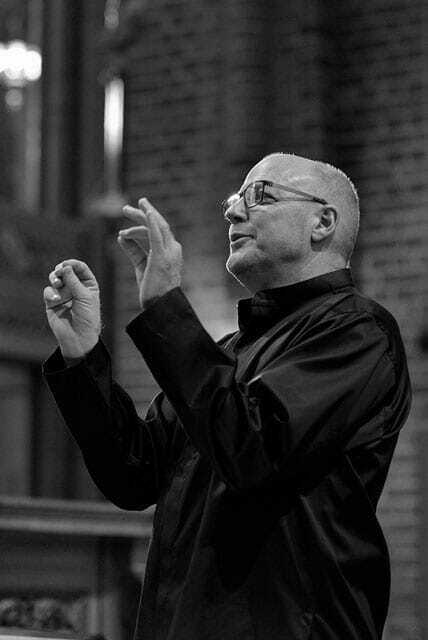 Gary Graden has been choral director at S:t Jacobs Church in Stockholm since 1984 and is also choral director at Stockholm Cathedral. He also taught at Stockholm’s Musikgymnasium, where he founded and directed the Stockholms Musikgymnasium Chamber Choir. With this ensemble and the S:t Jacobs Chamber Choir he has won first prizes at many of Europe’s most prestigious choral competitions, including the European Grand Prix. He has also participated in various national and international festivals including the IFCM World Symposium in Minneapolis and Kyoto and the ACDA National Convention in the USA. Gary Graden was formerly the artistic director of the Orpheus Vocal Ensemble in Ochsenhausen, Germany. With his trio WÅG (Wager Åstrand Graden) he is developing and exploring improvisational music for voice and instruments. With S:t Jacobs/ Stockholm Cathedral Vocal Ensemble he performs a solo and small ensemble repertoire encompassing all periods. Above and beyond his expertise in the performance of contemporary music, he has also performed such large works as George Frideric Handel’s Messiah, W.A. Mozart’s Requiem and Mass in C minor, J.S. Bach’s passions and Mass in B minor (BWV 232) as well as the requiems of Johannes Brahms, Maurice Duruflé, Gabriel Fauré and Michael Haydn. Gary Graden is sought after throughout the world as a conductor, choirmaster and judge. He has shown a unique capacity for combining a wide variety of musical genres with the sounds of Swedish choral tradition. With the curiosity of a true musician, he also enjoys performing newly written works. 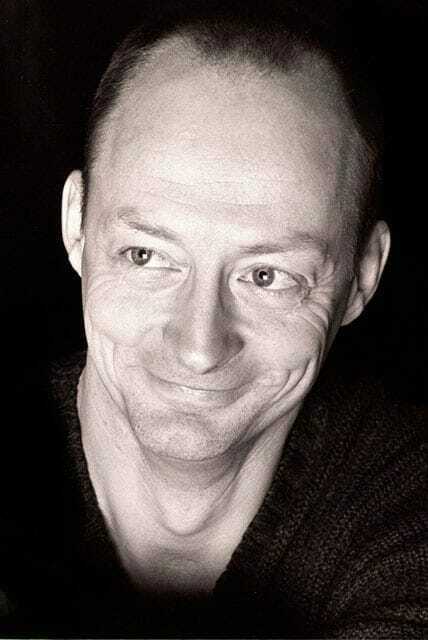 Gary has worked with prestigious international choirs including the SWR Vocal Ensemble (Stuttgart), Orpheus Vokalensemble (Ochsenhausen), Jauna Muzika (Vilnius), Pro Coro Canada, the Formosa Singers (Taipei), the Singapore Ensemble Singers and the IFCM World Youth Choir, among others. His work as a conductor and singer is documented on many CD and radio recordings (BIS, Carus, Proprius, Caprice, Phono Suecia, Gehrmans, nosag, Camerata Tokyo, among others). Gary was awarded the Johannes Norrby medal for his contribution to Swedish choral music and was elected Sweden’s Choir Director of the Year in 2005. In 2009, he and his choir received the Guidoneum Award from the Fondazione Guido D’Arezzo in Italy. Born in Trieste (Italy), Stojan Kuret graduated from the Academy of Music of the University of Ljubljana and finished piano studies at the Giuseppe Tartini Conservatory in Trieste, where he has been teaching since 1983. He served as artistic director of the APZ Tone Tomšič choir of the University of Ljubljana for 10 years. With them, as well as with the Ljubljana Vocal Academy, he made notable international artistic achievements (five grand prizes in Tours (1999), Varna (2001), Gorizia (2001), Maribor (2002), and Arezzo (2009), and three-time finalist and two-time winner of the European Grand Prix for Choral Singing in Arezzo (2002) and Varna (2010)). In 1984 he received the Gallus commendation from the State of Slovenia for his exceptional musical achievements as well as an honour from the city of Ljubljana for his artistic direction of the APZ Tone Tomšič choir. He directed the RTV Slovenia Chamber Choir (a national radio and TV choir) for two years and also led the Italian Youth Choir for two seasons from January 2007. In September 2011 he received the prestigious Guidoneum Award in Arezzo for his successful and creative work with the Ljubljana Vocal Academy, and in 2012 he was bestowed the Prešeren Foundation Award, the greatest national cultural accolade in Slovenia. For 15 years he has been artistic advisor for the Jacobus Gallus Choral Festival in Maribor, Slovenia. In addition to having directed the Italian Youth Choir, he is a member of the artistic advisory group FENIARCO (National Federation of the Regional Choral Associations in Italy). Peter Phillips has achieved an impressive reputation for his research and performance of Renaissance polyphony. Having won a scholarship to Oxford in 1972, Peter Phillips studied Renaissance music with David Wulstan and Denis Arnold and gained experience in conducting small vocal ensembles and experimenting with the rarer parts of the repertoire. He founded The Tallis Scholars in 1973, with whom he has now appeared in over 1600 concerts and made nearly 50 albums, encouraging interest in polyphony all over the world. As a result of his work—concerts, recordings, magazine prizes, published articles on music and composition—Renaissance music has, for the first time, become accepted as part of the traditional classical repertoire. Peter Phillips continues to work with other specialist ensembles. He has appeared, among others, with the Collegium Vocale of Ghent, the Netherlands Chamber Choir, the Choeur de Chambre de Namur, the Finnish radio choir, Musix from Budapest, the Montreal Studio of Ancient Music and various others across the world. Peter also works extensively with the BBC Singers, with whom he gave a concert at the Proms in the Royal Albert Hall in July 2007 in collaboration with the Tallis Scholars. The performance was broadcast live and attended by more than 5000 people. Peter gives numerous master classes and choral workshops every year throughout the world and is also artistic director of the Tallis Scholars summer schools—annual courses based in Oakham (UK), Seattle (USA) and Sydney (Australia)—which explore the heritage of Renaissance choral music and develop an appropriate performance style. Peter was recently named Director of Music at Merton College, Oxford, where the new choral foundation he helped to establish began singing services in October 2008. In 1995 he took over and became editor of The Musical Times, the oldest continuously-published music journal in the world. His first book, English Sacred Music, 1549-1649, was published by Gimell in 1991 and his second, What We Really Do, was published in 2003. Peter Phillips has participated in numerous television and radio broadcasts. Besides those featuring The Tallis Scholars (which include live broadcasts from the 2001, 2003, 2007 and 2008 BBC Proms, the Edinburgh Festival in 2007, the Aldeburgh Festival and the Bath Festival), he has appeared several times on the BBC’s Music Weekly and on the BBC World Service, BBC Radio 4, National Public Radio in the US and on German, French and Canadian radio, where he has enjoyed displaying his love of languages. In 1990, ITV’s The South Bank Show featured Peter’s ‘personal odyssey’ with the Tallis Scholars and in 2002 a special television documentary was made for the BBC about the life and times of William Byrd. Since 2014 he has been Principal Director of the London International A Capella Choir Competition and has contributed to promoting choral music since then. He is also actively involved with various Spanish choral groups. Jordan Sramek is Founder and Artistic Director of The Rose Ensemble from Saint Paul, Minnesota. The driving force behind the repertoire of one of the most creative ancient music ensembles in the USA, Jordan is renowned as one the most innovative leaders on the North American music scene. He is highly respected for his meticulous research of sacred and spiritual folk music. He often travels in order to carry out this work—most recently involving the search for manuscripts—and has collaborated with musicologists and linguists in Israel, France, Spain, Sweden and Hawaii. Jordan has developed a sharp and acclaimed talent for putting together concert programmes, creating a rich tapestry of vocal music which works for all concerts whether in the USA or in Europe. He is frequently invited to speak at musicology conferences and to give workshops and master classes. A talented choir director and vocalist known for his warm and welcoming personality, Jordan has worked with amateur and professional singers alike on a highly diverse vocal repertoire. Recent conferences and teaching appearances include the Festival d’Ile de France (Paris), the University of Indianapolis, the University of Rhode Island, the University of Vermont, Grinnell College, the University of Oklahoma, the University of Louisiana Lafayette, Luther College, the American Choral Directors Association and Chorus America. Māris Sirmais is one of the most important names in the world of choral music. He is a pillar and guide for Latvian choir culture and a voice respected by thousands of participants in the Latvian Choral Festival. He has been Artistic Director of the Latvian National Choir since 1997. Sirmais also helped develop one of Latvia’s brightest cultural symbols, the Youth Choir Kamēr…, of which he was principal director from its founding in 1990 until 2012. He is Head of the Department of Choral Conducting and Professor at the Jāzeps Vītols Latvian Academy of Music and has served on several occasions as a member of the judging panel at national and international choral competitions. Māris Sirmais was also awarded the Order of the Three Stars and is an honorary member of the Latvian Academy of Sciences and recipient of numerous titles and awards for his cultural achievements and for popularising Latvia throughout the world. Māris Sirmais regularly works with Latvia’s various professional orchestras and has conducted collectives including Kremerata Baltica, the Umeå Symphony Orchestra, Helsinki Strings and the Evgeny Svetlanov State Academic Symphony Orchestra. He has also collaborated with world renowned soloists, including Maxim Rysanov, Kristīna Blaumane, Egils Siliņš, Aleksandrs Antoņenko, Julius Berger, Gidons Krēmers, Nicolas Altstaedt, Douglas Webster and Inese Galante, among others. Māris Sirmais is a member of the artistic committee of the Latvian Choral Festival. Dr Shin-Hwa Park is the Director of Ansan City Choir, Professor at the Ewha Womans University, President of the Korean Federation for Choral Music (KFCM), former president of the Korean Choral Directors Association (KCDA), Director of the Ewha Chamber Choir and presenter of the FEBC-FM Christian music radio programme. He received his degree and doctorate in church music and vocal music from Yonsei University in Seoul and his DMA in Choral Conducting and Literature from the University of Colorado Boulder. Dr Park is one of the most sought-after choir directors in Korea for leading choral courses and workshops. 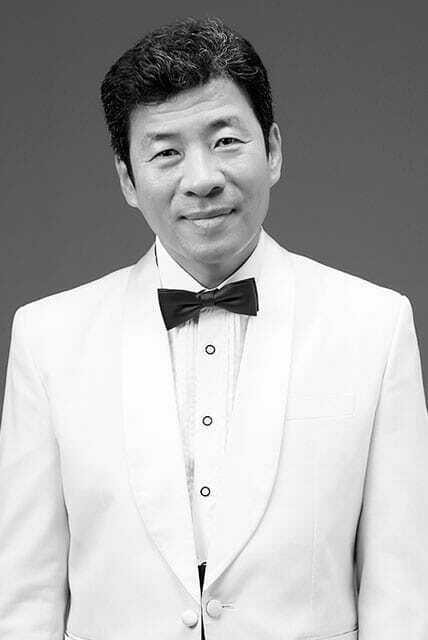 He has served as guest conductor of the National Chorus of Korea, the Seoul Metropolitan Chorus, Busan City Chamber Choir and many other ensembles. He gives more than 40 lectures every year and between 1996 and 2015 his choirs released some 83 CDs. He also directs the Calvary Choir of Young-Nak Presbyterian Church, which comprises 150 singers. Dr Park was the first winner of the Ulrim Grand Prize in 2004 and received the Ansan Art Prize that same year. The following year he was selected as one of the best professors of the Ewha Womans University and in 2007 he was awarded the Korean Music Prize. He is regularly invited to serve on the judging panel at various choral competitions both at home and abroad. In 2011 he conducted Ansan City Chamber Choir in the Vatican by invitation of the Papal Household. His choir also performed at the 2012 ACDA Northwestern Division Convention in Seattle, Washington, and at the 2015 ACDA Conference in Salt Lake City, Utah. For many years, Stephen Connolly was a bass singer and co-director of the world famous vocal ensemble The King’s Singers. He interpreted over 120 concerts per year for nearly a quarter century, appeared frequently in both radio and TV shows, and recorded many CDs with EMI, BMG Records, Signum Records and Sony –including three Grammy Award nominations and a Grammy Award. More recently, he has acted as a judge in several contests and has taught many choral workshops. In 2008, Stephen founded the International A Cappella School, which offers international residences for singers and choirs. In 2010, Stephen was appointed Head of Vocal Studies of the Cheltenham Ladies’ College. He lives in Gloucestershire. Georg Grün is considered to be one of the most sought-after international choral conductors and specialists for choral sound. He founded the KammerChor Saarbrücken in 1990 and has been its artistic director ever since then. He has won important international and national choir competitions, he gives concerts at numerous renowned music festivals and he regularly produces CDs with CarusVerlag and Rondeau Productions. From 2000 until 2012 he held a professorship for choral conducting at the Musikhochschule in Mannheim. There, he founded a chamber choir with which he also won several international prizes. In 2012, Georg Grün changed to the Hochschule für Musik Saar as a professor and became artistic direction of the Ev. Chorgemeinschaft an der Saar. 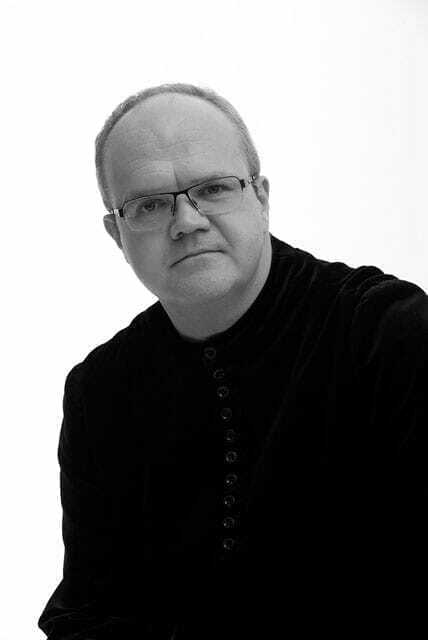 Georg Grün works as guest conductor guest professor, juror and tutor at international masterclasses for choral conducting both nationally and internationally. He is a mentor at the forum for conductors of the German Music Council and Chairman at the international jury of the chamber choir competition in Marktoberdorf. In 2017 concerts, lectures, master classes and guest performances will take him to Estonia, France, Ireland, Italy, Poland, Russia, Spain, Turkey and the United States. He was born in Trieste (Italy). He is a graduate of the Music Academy at the University of Ljubljana and obtained his Piano Degree at the Giuseppe Tartini Conservatory of Trieste, where he has been a professor since 1983. He was the artistic director of the APZ Tone Tomši choir of the University of Ljubljana for 10 years. With that choir and the Vokalna akademija Ljubljana, he has achieved many prestigious artistic recognitions (fi ve grand prizes –Tours 1999, Varna 2001, Gorizia 2001, Maribor 2002and Arezzo 2009–, three-time fi nalist and two-time winner of the European Grand Prix for Choral Singing – in 2002 in Arezzo and in 2010 in Varna). In 1984, he was honoured with the Gallus Award for his extraordinary achievements in the fi eld of music and the Ljubljana City Award for the artistic direction of the APZ Tone Tomši choir. He conducted the RTV Slovenia Chamber Choir (national radio and TV choir) for two years. Starting January 2007 and for two years, he conducted the Italian Youth Choir. In September 2011, he was awarded the prestigious Guidoneum Prize in Arezzo, due to the successful and creative work he has done with the Vokalna akademija Ljubljana. In 2012, he received the Prešeren Foundation Award, the highest cultural recognition of Slovenia. He studied under Gösta Ohlin and Gunnar Eriksson at the Music and Drama Academy of Gothenburg, and Orchestra Conducting under Lennart Hedvall, Jorma Panula, Robert Reynolds and Everett Lee. Bengt Ollén is Sofi a Vokalensemble’s founder and conductor. Since 1995 he has led the vocal ensemble with great passion and a never-dying enthusiasm, taking the choir to the highest artistic levels. Bengt’s vision is to create music “beyond the notes”. In his opinion, music should move the listener. Therefore, each singer’s commitment is a vital piece in the musical progress: for the music to be a success, everybody must participate. That is Bengt’s musical belief. Bengt is also the founder and conductor of the Södra Dalarnas Chamber Orchestra. This orchestra participates yearly in the “Musik vid Slijan” festival. 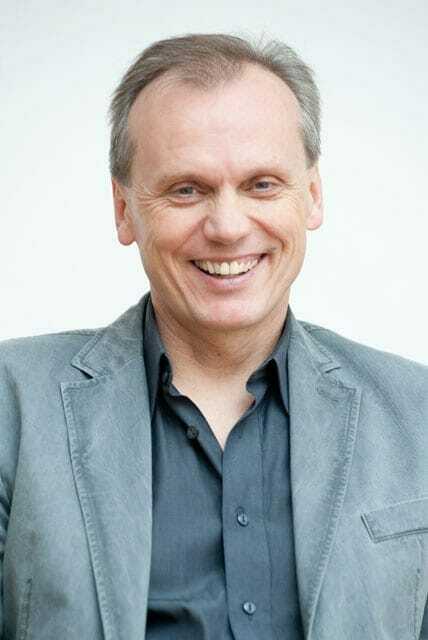 Bengt is frequently engaged as a judge in contests, as a guest lecturer and conductor in festivals, workshops and concerts, both at national and international levels. 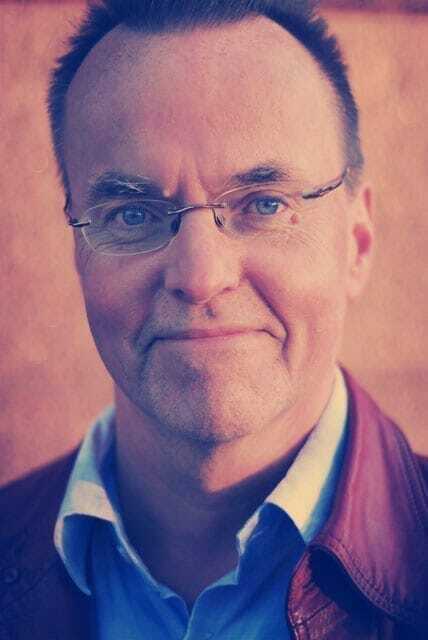 Since 1994 he works as a choir professor in the internationally renowned Stockholms Musikgymnasium. With his choirs, he has found remarkable success in choral contests all over the world. He was born in Tokyo in 1962. He obtained his Composition Degree at the Kunitachi College of Music and graduated in Choral Conducting at the Kodály Institute in Hungary. His works as a music composer are interpreted in Japan and all over the world. As a conductor, he has led several choirs of the Greater Tokyo Area, and has received many awards in international choral competitions. In 2005, he was the fi rst Asian to be recognised with the Robert Edler Prize of Choral Music. Choir and orchestra conductor, vocal coach, judge at international contests, choral advisor, speaker and arranger. He is the founder of the Oreya Choir and the Gaudeamus Brno Choir (1996), and has won 10 Grand Prizes and 37 1st Prizes with them. He has been recognised as an Honorary Artist in Ukraine and honoured with the I. Ohiyenko Award. 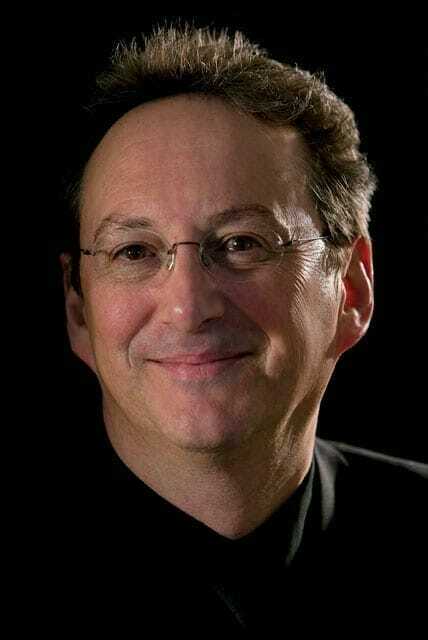 He has taught choral seminars and workshops worldwide, and has conducted symphonic projects in France, Germany, Romania, Ukraine and the Czech Republic. He has been a jury member of the Choir World Games in Busan (South Korea), Bremen (Germany), Xiamin (China) and Wernigerode (Germany). As well in Tolosa (Spain), Marktoberdorf (Germany), Maribor (Slovenia), Riva del Garda (Italy), Artek (Ukraine), Tallin (Estonia) and Bergen (Norway). 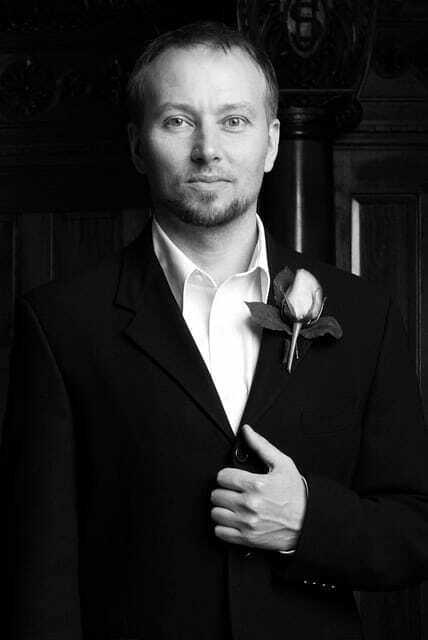 In addition, he has been the choral advisor of the Czech Republic (2002-2006).